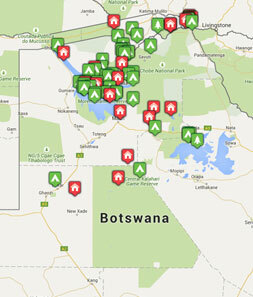 Tribes Service: "Helpful and knowledgeable - local information about the camps was a real bonus." Guides: "Fantastic guides - not just ability to 'spot' the animals and birds but their understanding of the daily habits of the wildlife made it all the more interesting and exciting"
Slightly quirky but excellent hostess. Food and accomodation excellent. Great set of young folk running the camp - very knowledgeable and experienced as they were mainly Botswana-born. Great spot and very picturesque now that the waters have returned - probably the best of the three camps overall but a close thing!